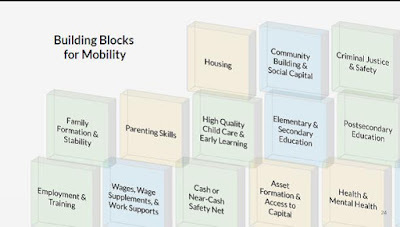 Earlier this month, I tuned into a webinar by the Urban Institute entitled “Restoring the American Dream: What Would It Take to Dramatically Increase Mobility from Poverty?”. Generational poverty has been a topic of interest of mine for many years because as a native of Mississippi, I’ve seen the stark differences in the quality of life for folks along the wealth spectrum. I’ve also heard rags to riches stories and wondered how to make that a possibility for more people. Just anecdotally (without delving into policy issues), from my own life experiences, observations, and conversations with my parents and other community elders before I chose economic development strategic planning as a career, I came to the conclusion that this is a complex problem for sure, but two things that really matter in the likelihood of moving out of poverty and crafting a promising trajectory are exposure and education. Exposure to the possibilities of life is essential to a person, particularly children, achieving because it provides a launching point for dreams and goals to be identified in the first place. Sometimes the problem is just not knowing what you don’t know, and once you know what’s out there, a spark can be lit to strive for that thing. That’s why I am a huge advocate for school field trips, free weekends at museums, career fairs, and accessible programs and initiatives that can provide that exposure. 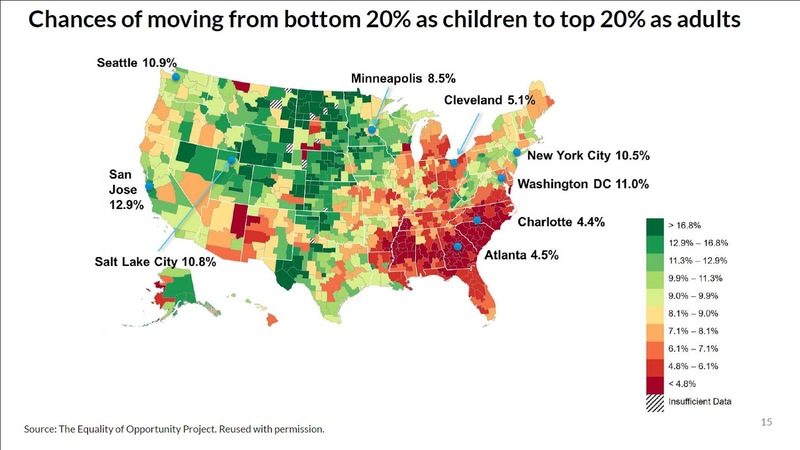 Some people would be extremely surprised to know how many kids have never been outside of their neighborhood within a city, let alone to another state or another country or who have never met a doctor or a scientist or even an economic developer. I’m sure that most can agree that education is vital. Access to quality education prepares kids (and adults!) for a future not just academically, but also the opportunities to connect to jobs or to the skills and networks that can lead to jobs or entrepreneurial prospects. 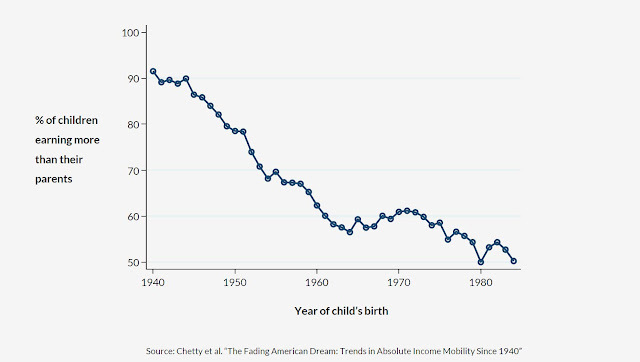 Children are less likely to do better than their parents now. 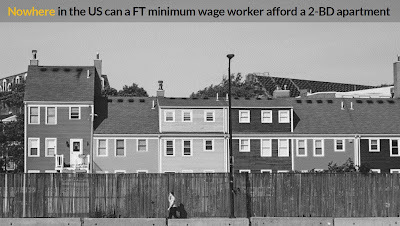 There are fewer jobs available that provide good wages and benefits, especially for skilled workers. ZIP codes, race/ethnicity, and gender matter more than ability and knowledge in many instances. 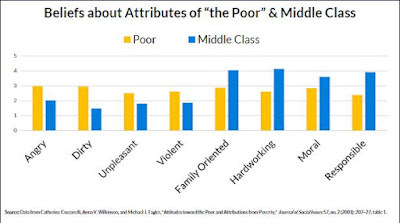 The webinar discussed the attitudes toward poor people, and of course that’s an obstacle itself outside of the actual barriers and obstacles that lack of money and resources present. 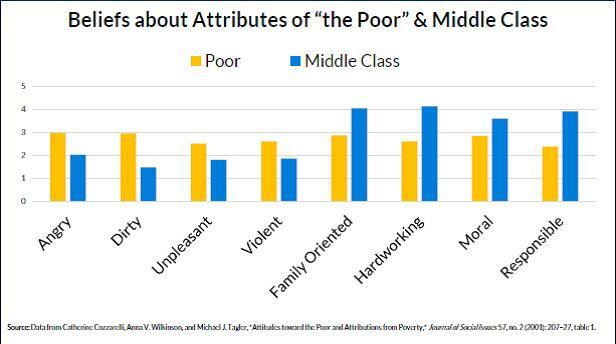 Changing/shifting the narrative is an overarching need in order to battle poverty. Policy and program ideas could move at a greater scale if we can humanize those in poverty and expose structural issues while also highlighting who wins and who loses because of those issues. We must create access to good jobs through strategies such as worker protections, experimenting with portable benefits, subsidized jobs, and job guarantees, extending earned income tax credits, monetizing or increasing pay for care work (caring for family members with disabilities) and upscaling workers’ skills through employer training through community colleges. Ensuring that ZIP code is not an indication of someone’s future has to be a priority. The partnership has developed a multi-pronged approach that includes revitalizing communities, increasing the availability of affordable housing (which we at Market Street sometimes refer to as workforce housing), creating economically diverse neighborhoods, increasing access to financial services, and supporting community-inclusive policing initiatives. Programs and policies should put families in the center so that they are able to attain support that empowers. Data can be a powerful tool if it is used across partners. Transformed data use can be leveraged to increase accountability and transparency. As complex as the poverty issue is, with all hands on deck and with an understanding that helping the least of these will help us all, we can absolutely put a dent in poverty in America. Poverty is an issue that spirals and gets worse with no intervention, but private businesses, nonprofit entities, policymakers and other government officials, and other partners working together can make all the difference and maybe start turning around some of the troubling trends that we’re facing nationally.